Poltava, Ukraine's greatest claim to fame is probably being the location of the Battle of Poltava between the Swedish and Russian empires. The year was 1709 and the two powers were in the middle of The Great Northern War. 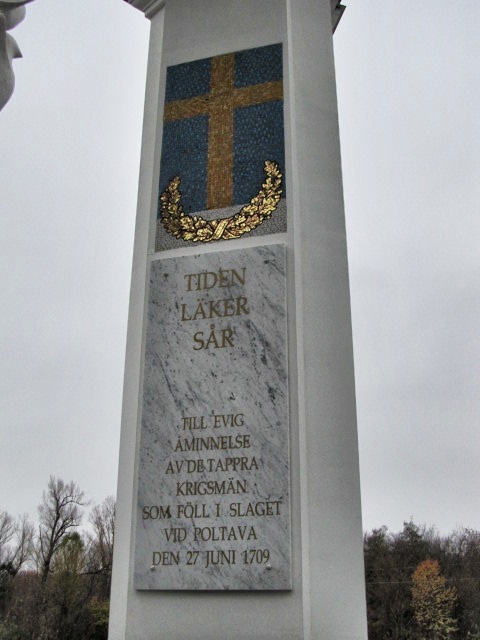 They fought for only a few days and Russia's victory over the Swedes is often attributed as the beginning of Sweden's decline as a world power. 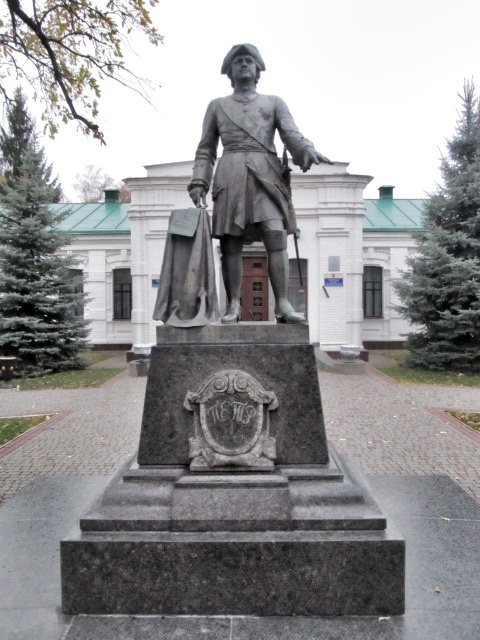 Peter the Great led the Russian forces and here's a statue of him which our guide says was life sized. 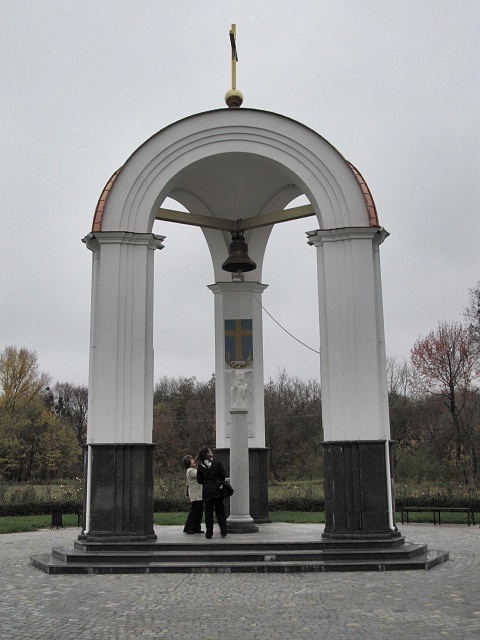 My Scandinavian heritage [a little more Norwegian than Swede] made this side trip fascinating...especially this peace arch which tries to repair the relationships between the Ukrainian and Swedish peoples more than three centuries after the battle. 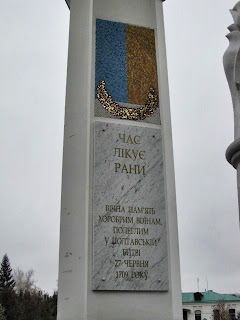 Each side of the battle has a portion of the memorial dedicated to it...it's interesting to note the similar national colors. 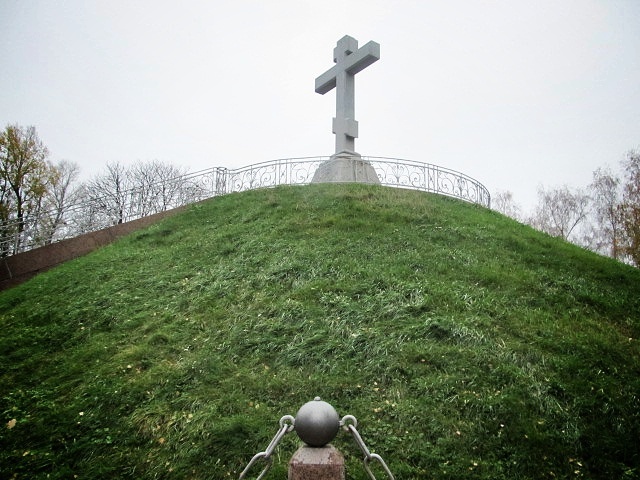 Surrounding the battle grounds which has been left mainly undeveloped are some Orthodox churches and this giant mound which still holds the remains of soldiers who died in the battle. Somebody's Going To Get Served!